Very demanding stage. Immediately you will go up till Vignoni Alto meeting a stretch of dirt road, place of panoramic point of the countryside rural beauty, that goes down to Bagno Vignoni, a beautiful and ancient thermal village. The climb begins again and you will bike up the Radicofani pass, whose hairpin turns have been the scene of epic battles of the “1000MIGLIA” car race. 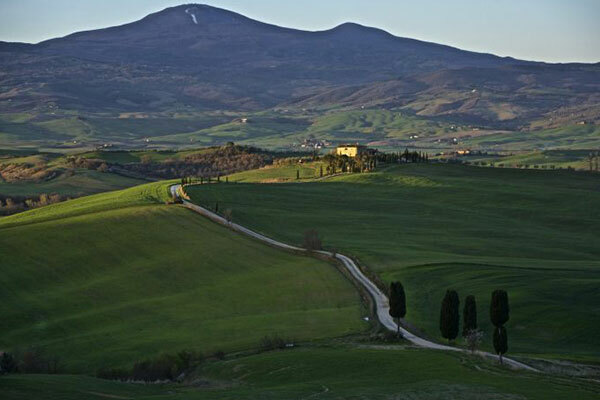 Crossing completely deserted roads, immersed in nature and accompanied by the chirping of the cicadas, the hills of Monte Amiata are bordered, meeting castles perched on the buttresses. From here you enter the Etruscan land in the direction of Sorano village, famous for its free thermal baths located on the road. 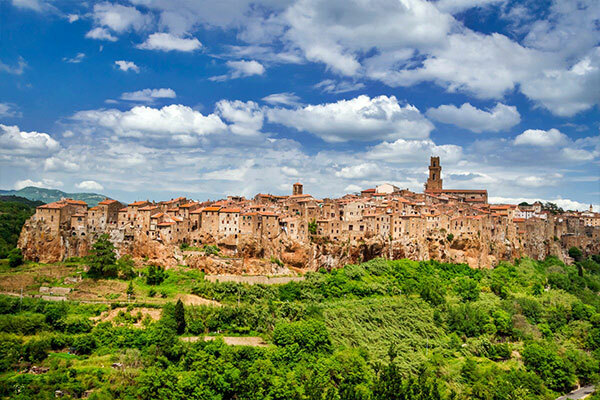 Then you come across the city of Pitigliano, a UNESCO World Heritage Site, an amazing village full of history, that has the peculiarity of being perched on a tufa ridge. 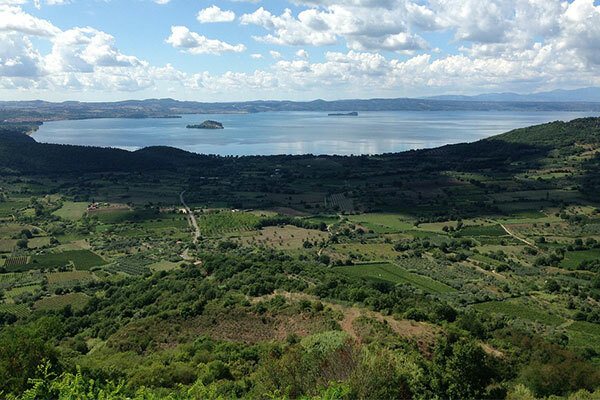 Continuing we go back to Gradoli from where we are repaid of the effort with enchanting sceneries of the Bolsena lake, which you will bike along going to the control point.